Litecoin Plus, (symbol LCP) was announced on 21st May, 2014 and works independently of any monetary authorities. It is not a mineable decentralized cryptocurrency, so in order to get LCP, you must buy them with a cryptocurrency exchange service. It follows the proof of work and proof of stake (pow/pos) consensus and the Scrypt algorithm. 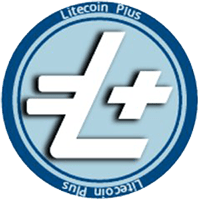 Litecoin Plus are on social media such as Facebook, so check them out to keep up to date with the latest news. We don't have any cloud miners listed for Litecoin Plus yet, check back soon! We don't have any exchanges listed for Litecoin Plus yet, check back soon! We don't have any wallets listed for Litecoin Plus yet, check back soon! We don't have any debit cards listed for Litecoin Plus (LCP) yet, check back soon! We don't have any price charts listed for Litecoin Plus yet, check back soon!